I know for most fashionistas out there, you might already know all the fall/winter trends for 2012. However, let’s stay present and look chic! Here’re some of my favorite trends for spring makeup and of course, trends are just for inspiration, you can always tone it down and make it everyday friendly. First comes the no-makeup makeup. It’s probably no surprise for many of you. Nevertheless, you can never go wrong with looking fresh and dewy for springtime. Suit: those of you who have relatively good skin and do not require too much coverage. I’ve always been a huge fan of cat eyes, so when I saw modern winged eyeliner look as one of the trends I was quite happy. 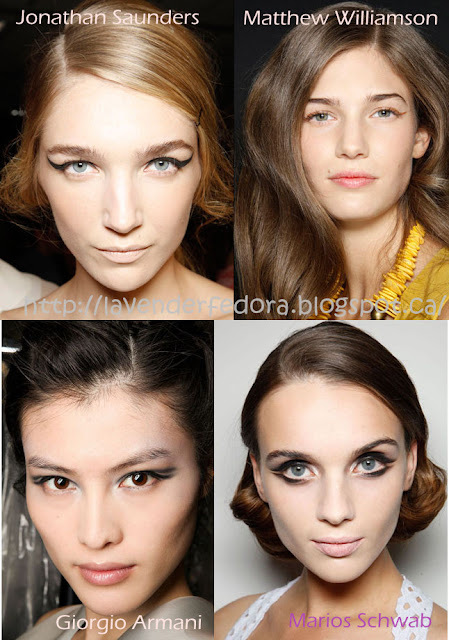 There’re all kinds of variations on the standard winger eyeliners: colored liner, super bold liner, double liner as well as futuristic ones are all over the runway. Bedroom eye! What a catchy name. haha I can’t quite distinguish this type of makeup but I think most bed eye makeup looks undone and effortless, hence the name. The common ones are super blended smoky eyes, thin liner with lots of mascara. Just keep it simple and go with it! Last but not least is the matchy matchy bold lip and nails. The name might sound confusing, but really, it is just match your bold lip color with your nail lacquer. I personally love this look, it’s neat but not overdone and you can have fun with all kinds of colors. Definitely my favorite! 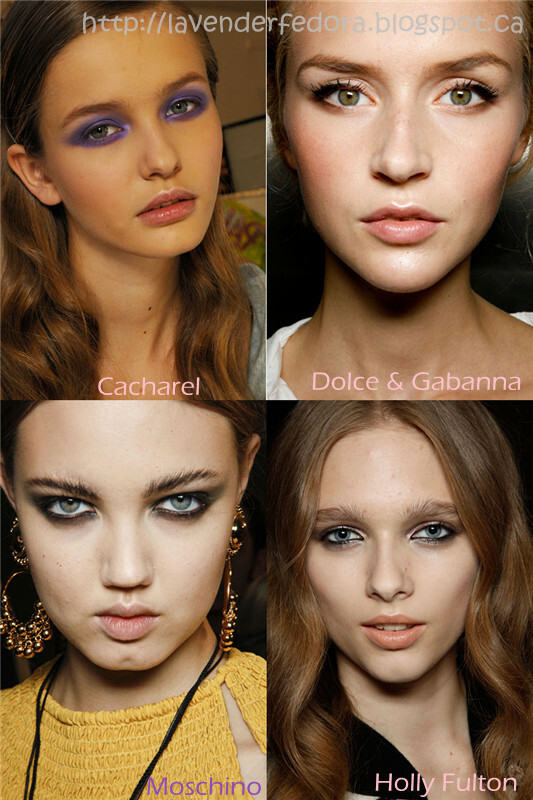 What's your favorite makeup trend for this spring? What do you love about spring the most?